It’s that time again, The time for all things lovey dovey and hearts galore. One of the things that has become synonymous with Valentine’s Day and romance is strawberries. Perhaps it’s because the first amazing crop of the fruit comes in during January and February? I don’t know. 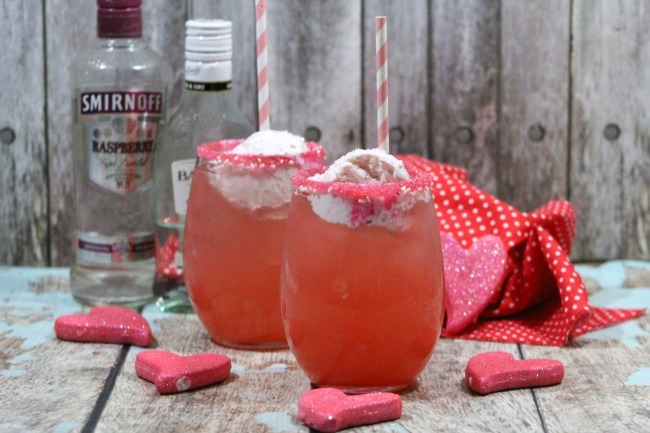 This delicious Strawberry Sunshine cocktail float is amazing for Valentine’s Day – or any time of the year. Combining the deliciousness of strawberries with the bright flavors of lemonade and a little booze. Top with some ice cream, and this is a cocktail drink that anyone is sure to love. Have kiddies around? No problem! You can easily make this a mocktail by leaving out the alcohol. Although it’s not necessary, I think the pink sugar rim gives these alcoholic cocktail floats that little sumtin-sumtin. This medium ice cream scoop is a great size for these drinks, too. You don’t want too much sherbet – or maybe you do! This boozy float combines the best parts of summer into one. Strawberries, lemonade, ice cream...What's not to love? Rim your glasses with pink sugar. Fill glass halfway with ice. Add strawberry lemonade and lemon lime soda. Add raspberry vodka and rum, and gently stir to combine. Top off with a small scoop of strawberry sherbet. See how easy it is to make something that feels really special? 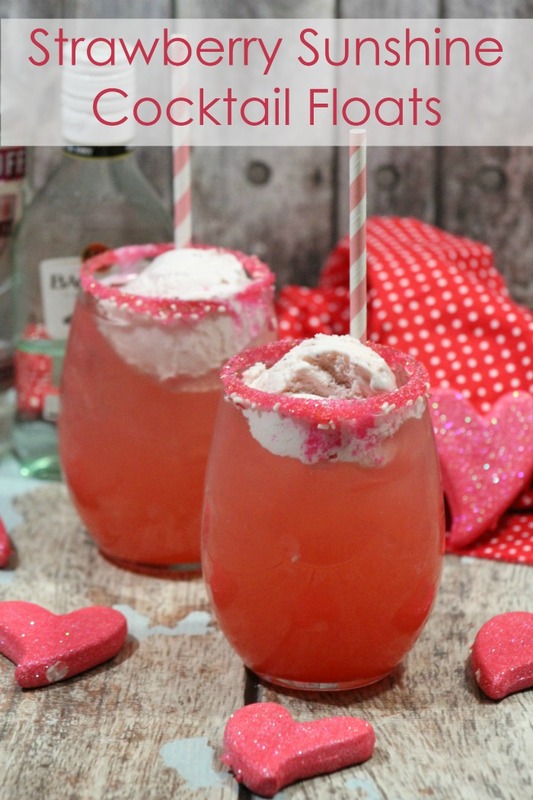 I think this cocktail float is great for all year round, too – not just Valentine’s Day. It’s also great for a bachelorette party!